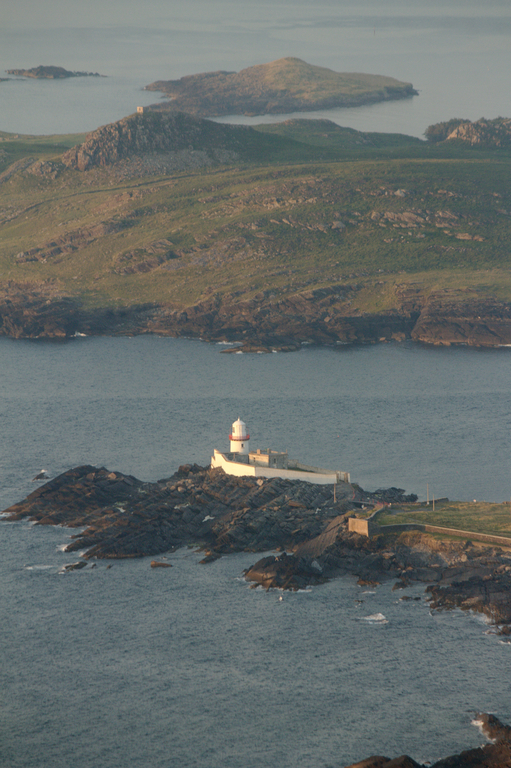 A couple of years ago I carried a swim report of the third annual Beginish race, which due to inclement weather that year , was held in the Sound between Valentia Island and the mainland of the Kerry coast, at the extreme south-west of Ireland. I called that report racing on the edge of the world. 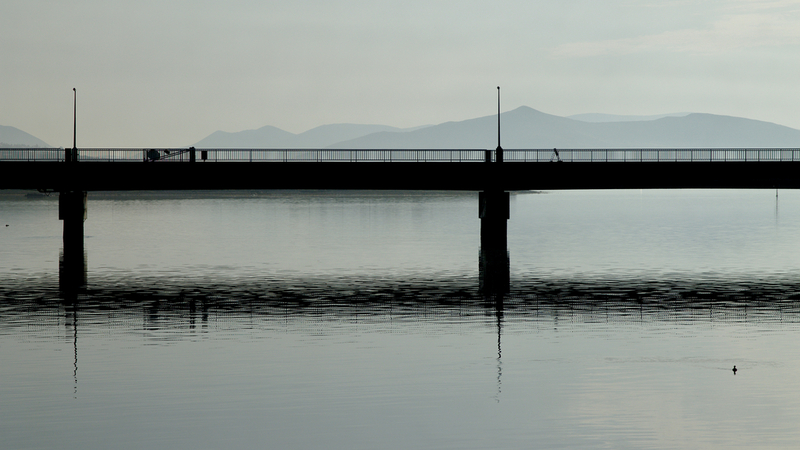 And if you’ve swum on the edge of the world, where else is next to swim, but over the edge. 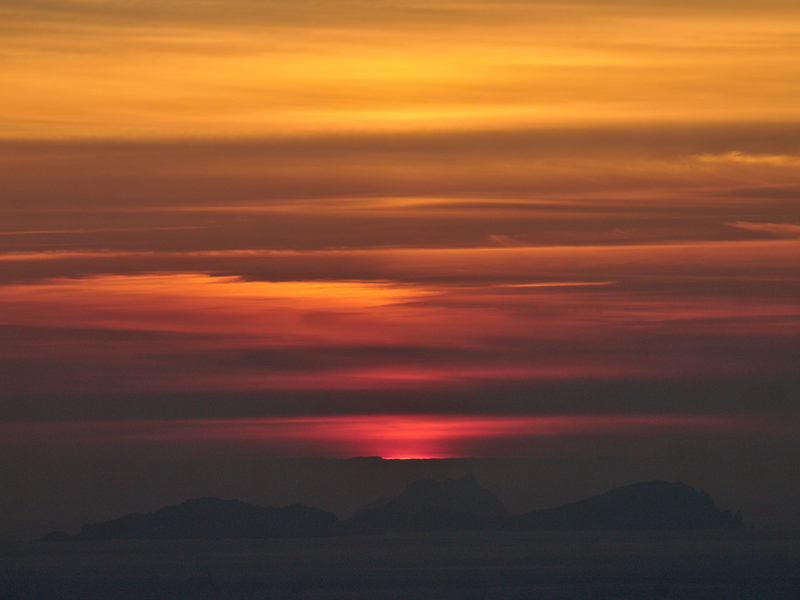 The edge of the know world- Skellig Beag on the left, Skellig Mor (Big Skellig) on the right. Best on large view. This is a two-part post, not because it’s a long or complex swim, but because the islands and nearby coast are so spectacular and such a favourite of mine that the post deserves due photographic attention. Dee and I are regular visitors to Kerry and in particular to that part known as The Ring of Kerry, a loop of spectacular scenery that runs around the Iveragh Peninsula. Ireland has many problems but a lack of spectacular scenery is not amongst them and the Ring of Kerry is amongst the best, and the southern-most coastal area of The Ring is my favourite place in the world and the greatest jewel in the crown of Kerry is the World Heritage site of the Skellig Michael aka Skellig Mór, the “Big Skellig” of the pair of islands. It was first settled by hermetic Christian monks sometime around the 6th or 7th Century and lies 12 miles of the south west coast, at the nearest edge of the Continental shelf. The peak rises steeply from 100 metres depth to 218 metres ( over 700 feet) of sheer rock, not a square centimetre of which was then flat. It was reached by monks in woollen habits rowing the traditional tar and hide covered rowing boats called Acuras, still around today as traditional craft, right off what was then the edge of the world. Over decades they hewed steps into the rock face, built stone Beehive huts as habitation just underneath the peak, and hauled seaweed from the rocks to make a couple of fields that are only the size of a medium car. All that lay around and beyond was the terrible Atlantic and the fabled Land of Eternal Youth, Tir-na-nOg. 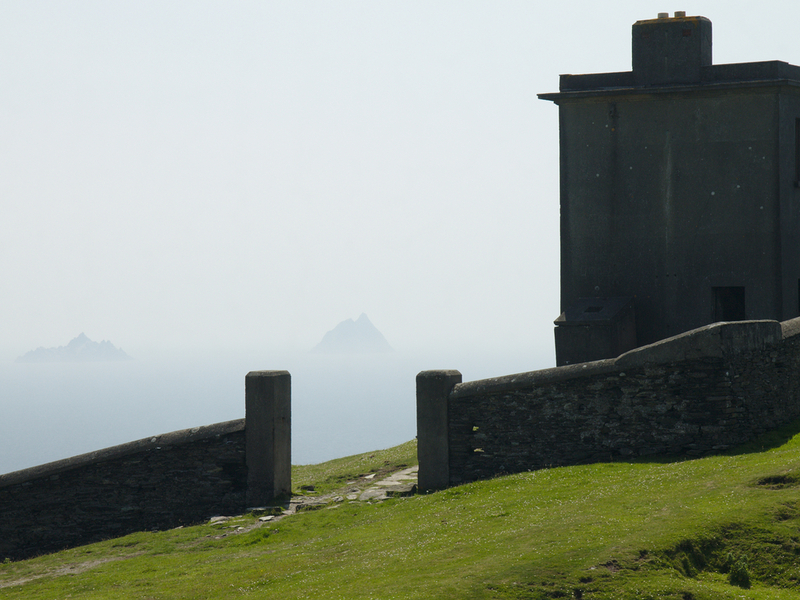 Visiting the Skelligs is an extraordinary experience. Skellig Micheal is open to a limited number of public visitors for about four hours a day, who get there through via a restricted and licensed number of boats that are often booked a week in advance. Its offshore exposed and deep location has it sitting right in the path of regular open Atlantic swell and even in good weather the island can be impossible to land on. Back in 2006 we were visiting the island, in the early days of my open water swimming, and I decided to swim off the rock (never travel anywhere without briefs, hat and goggles). It was fun, scary and made me want to swim around the island. I’d looked into organising it, but it would be complex and very expensive for a swim that was at most three kilometres long. The tide would have to be slack out at the island, with reasonable water and I’d need to pay a boat for the 24 mile round trip and waiting time, at whatever rate they might normally get for a charter. I put it on the long finger. Beginish Island Swim co-organiser Tim Poullain-Patterson did organise a swim in 2011 for a local charity, but even for someone living locally, it was unable to go ahead for two years due to the aforementioned constraints. 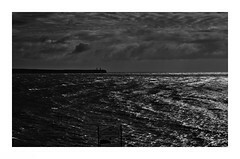 Last week, while Observing a record-breaking swim in Kerry, on which Tim was support kayaker, I discovered he had finally found the weather window he needed to complete the swim and I blagged my way onto it and we arrived in Knightstown the evening before the swim at the tail-end of a spectacular week of Irish weather, the best in a decade, my second visit of the week to paradise. 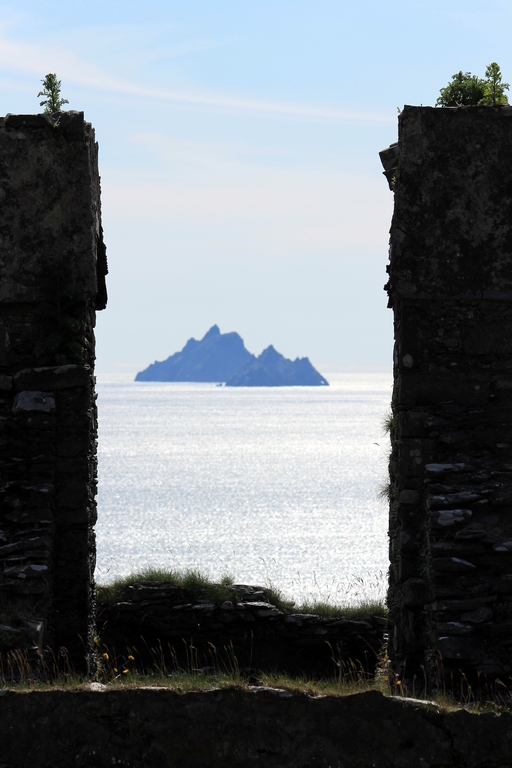 Skellig from the World War II Bray head tower. We walked out the trail to the Second World War coastal watch-tower on Bray Head, strolled around the village, ate scallops at the scallop festival in the village and later watched the Sun sink into the Atlantic beyond the Blaskett Islands off the end of the Dingle Peninsula from the summit of Geokaun Mountain. Another day in paradise. Sunday dawned cloudy. 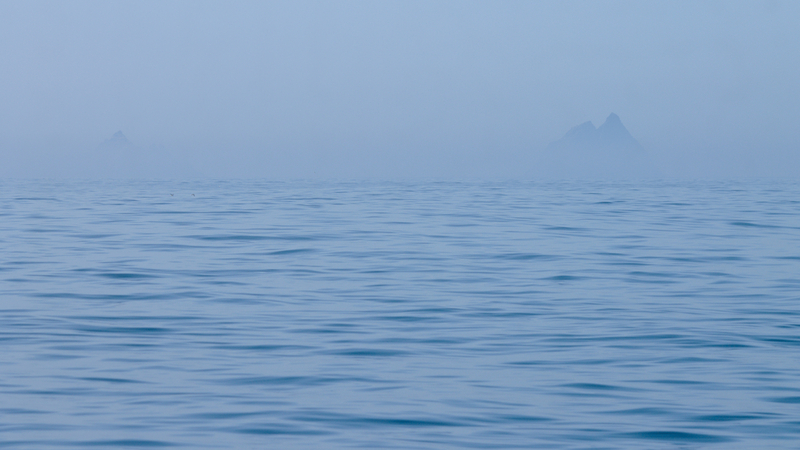 Fog and cloud in coastal Kerry is ubiquitous, and we hoped it would burn off by swim start. The breeze was up from the previous day and we drove to Cromwell Point lighthouse on the north side of Valentia Island to look at the water, which was displaying the occasional whitecaps of a light Force Three wind. 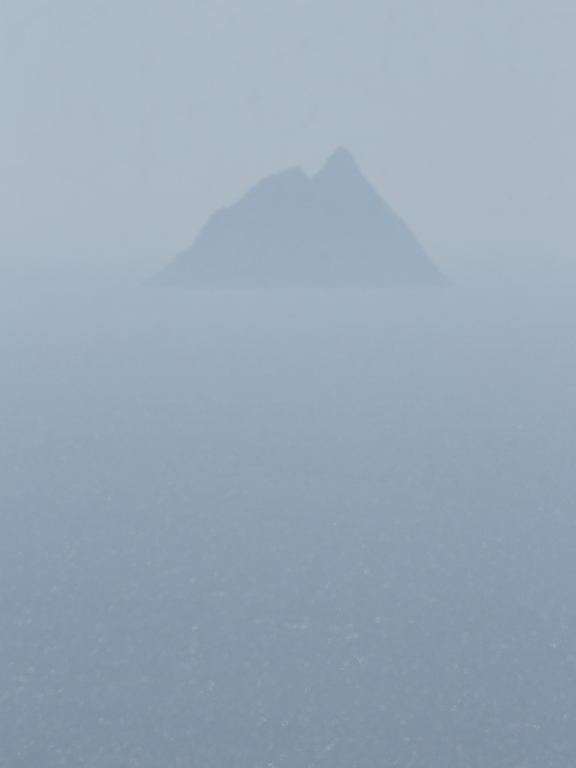 There would be more water movement out at the Skelligs. Departure time was 11 am at Portmagee, the village on the mainland that is linked by bridge to Valentia island and Dee and I, due to my late addition to the swim, would travel out on the support fishing boat carrying three kayaks, the rest of the twenty swimmers to travel out on large ribs from Portmagee and Ballinscelligs on the south side of the Iveragh peninsula. On to Part Two and the actual swim. I’m no expert, but I thought Skellig Mor was first settled by pre-Christian ascetics in a dim time long before Christian recorded history. I thought that the gaelic tradition was “adopted” by the Christian monks, just as so much other ancient tradition was “adopted.” A good example of this borrowing is the Irish cross. 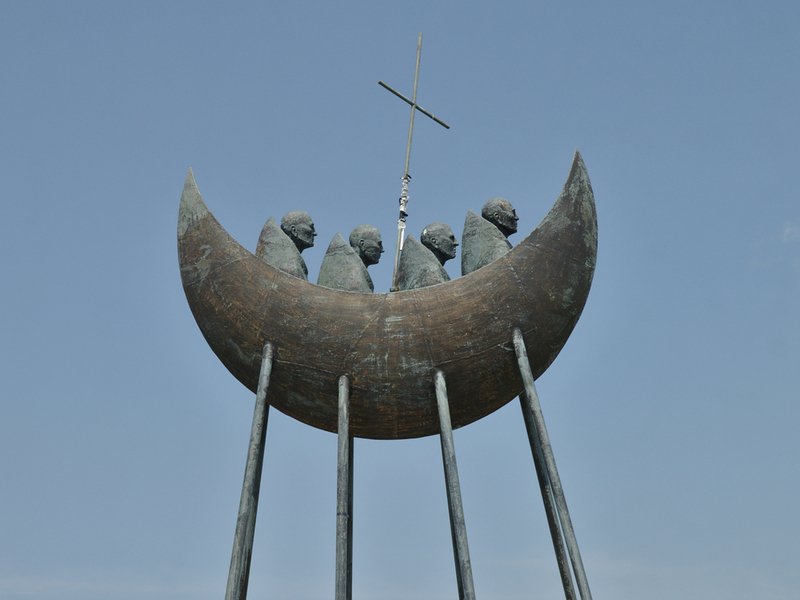 If you shorten all the “limbs” of that cross you are left with the four shortened limbs and the circle in the center, and that is the ancient gaelic Sun sign.